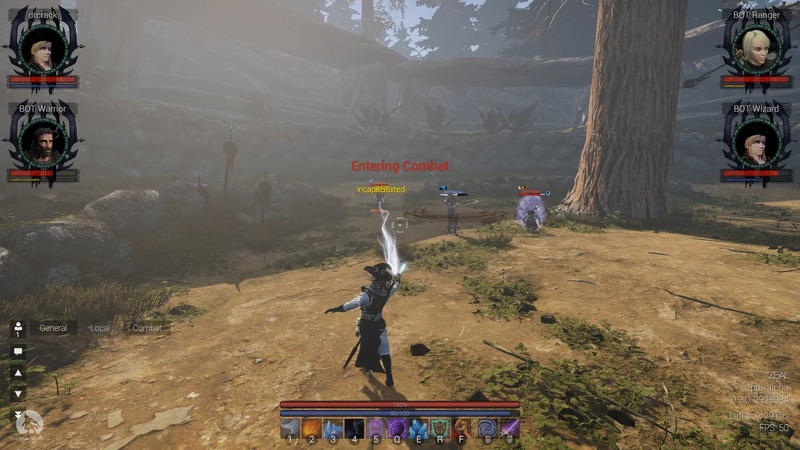 It will be released in 2019, but you can participate in playtesting in this July! A warrior takes no comfort in mercy. Subscribe on YouTube and don't miss it! 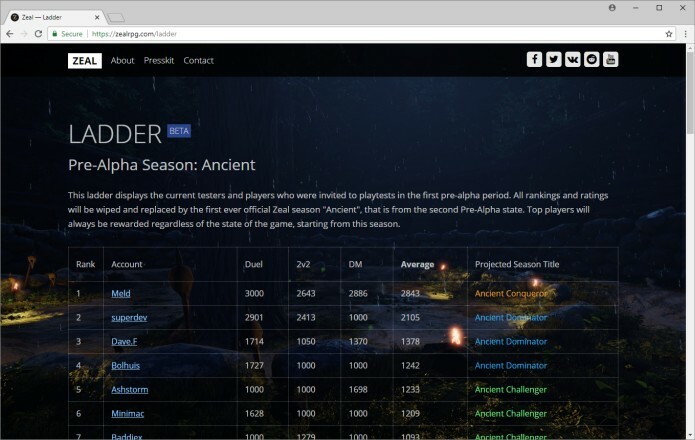 As we are coming closer to the Supporter Playtests, we would like to inform you that you will be able to actively view your position here https://zealrpg.com/ladder in our official online ladder once the playtests begin. Top players will always be rewarded regardless of the state of the game, starting from this season called "Ancient". There will be many other rewards to compliment these rankings. Note that cutoffs, titles and rewards are not yet settled and will be updated. Rewards you collect through playtests will be bound to your steam account and will never be wiped. More information will be provided later, check the #playtesting channel in Discord!